I know a lot of my dog friends will disagree that kitties can be a best friend, but y’all know me! I have cat friends, same as dog friends. Take my cat friend Daisy for instance! 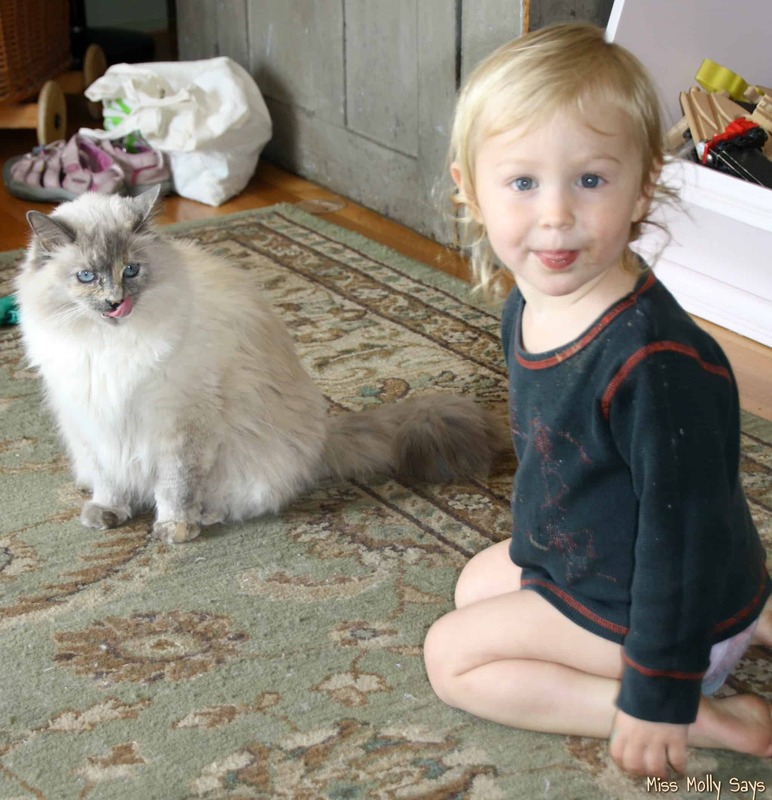 Her and her little hooman have grown up together and are true best friends WOOF! Best friends that love ya through thick and thin are hard to find. That’s why my Lady says ya gotta treat em right. 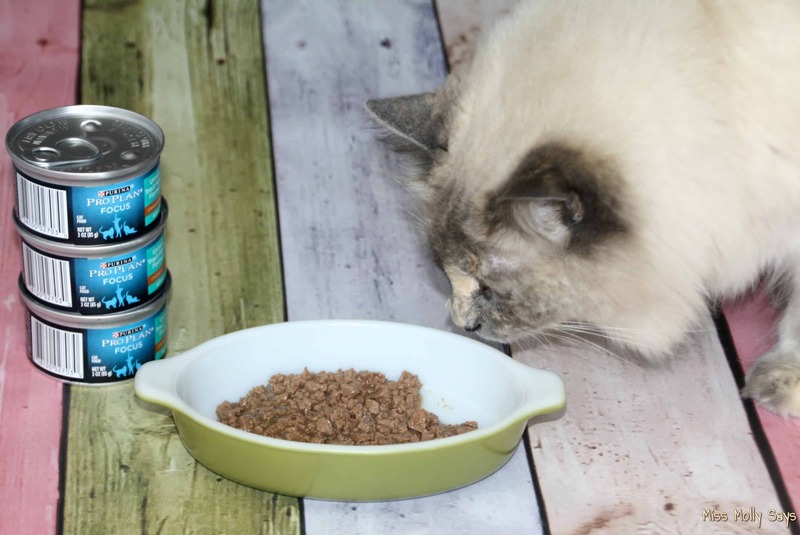 Just like with us pups, ya gotta make sure you are servin’ up the best nutritious cat food, like Purina Pro Plan cat food, to keep your kitty cat happy and healthy. Daisy and her hooman girl are always playin’. I swear that cat friend has more adventures than we do WOOF! I’ll let my Lady show ya what I’m talkin’ ’bout and tell ya about the cat food that keeps Daisy healthy! Here’s my Lady to share some of Bella and Daisy’s meowsome fun! I believe in love at first sight! 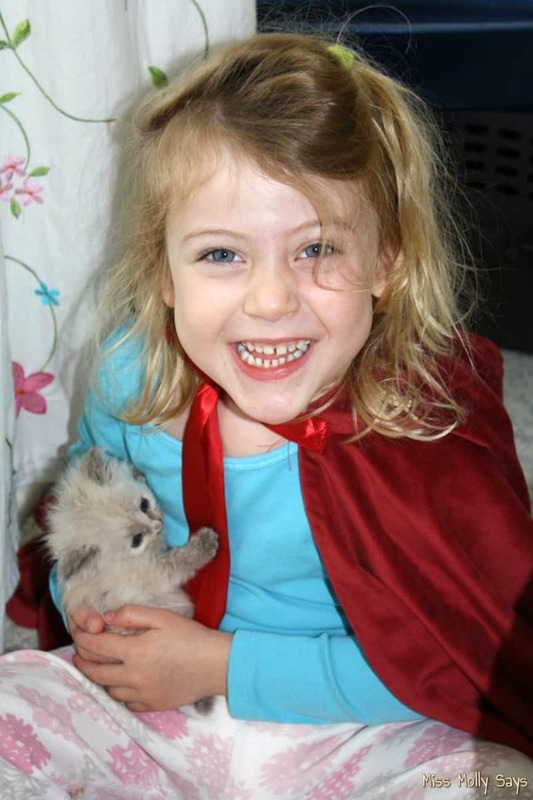 It was definitely love at first sight between a tiny kitten and a little girl! From the time they met, it was total devotion, adventures and fun! Their friendship blossomed into a beautiful bonded love! Daisy was a tiny and gorgeous kitten! 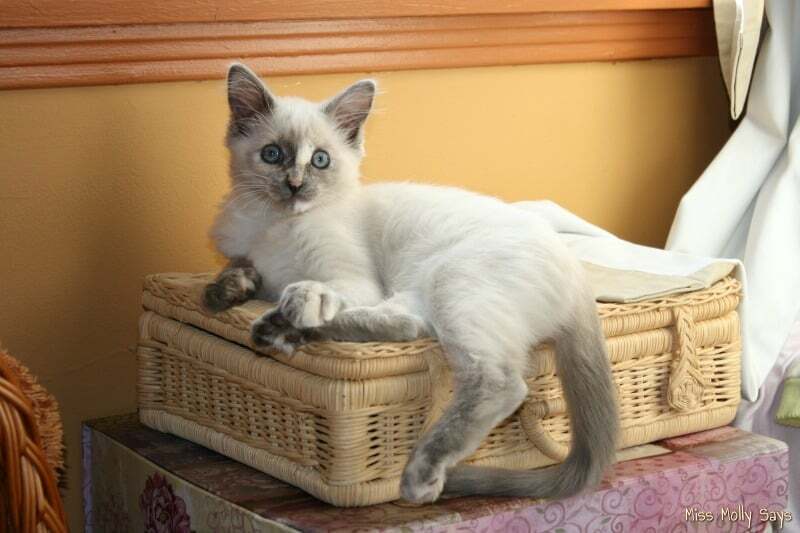 She had big blue eyes, beautiful coloring and was the sweetest little thing! Bella fell in love instantly! From the start, they were inseparable. Everywhere Bella went, so did Daisy! Bella and Daisy cuddled and played. They shared lots of secrets. 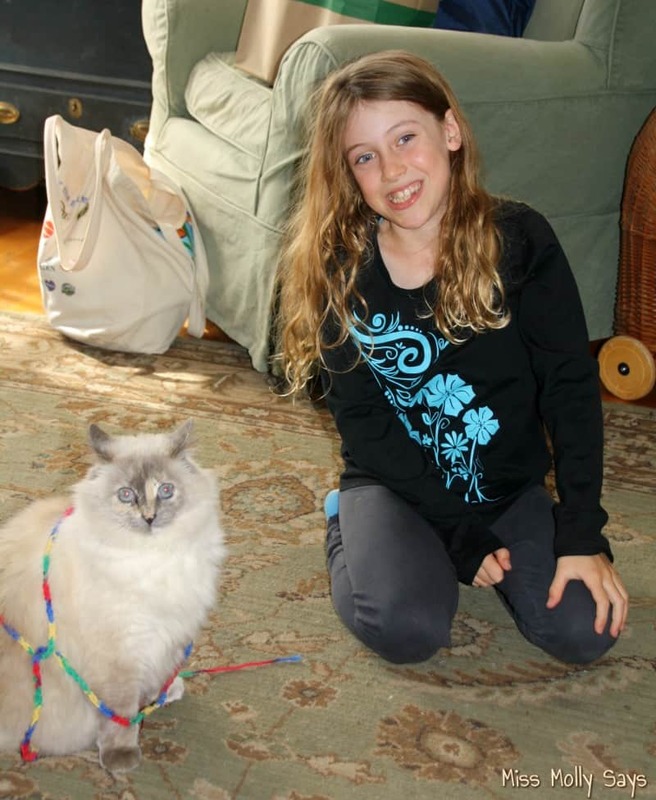 The sweet little kitten loved all the activity and quickly became Bella’s playmate and partner in all her adventures! 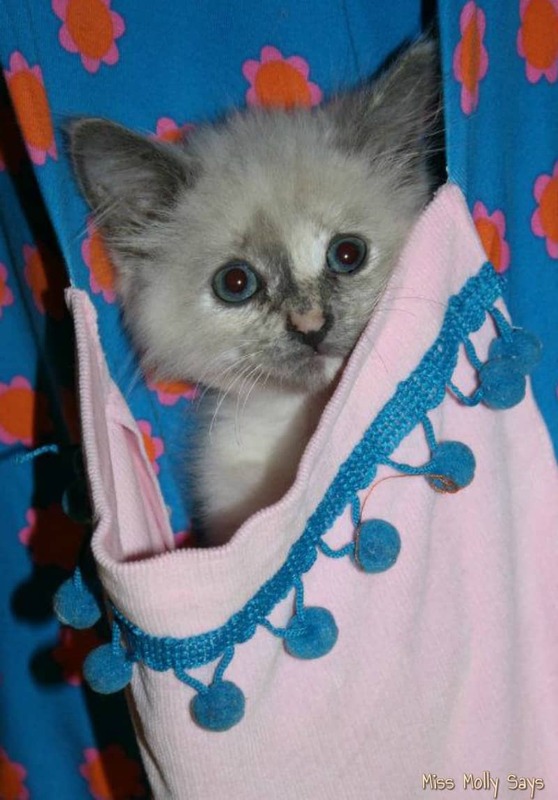 Whether hanging out in a pocket, or riding in a basket, Daisy was up for it. She went willingly wherever Bella wanted to take her. They loved playing in boxes. Now who taught who that trick? Perhaps Daisy shared the fun of boxes with Bella! How can you resist that face?! Seriously! You have to admit she was one darling kitten! 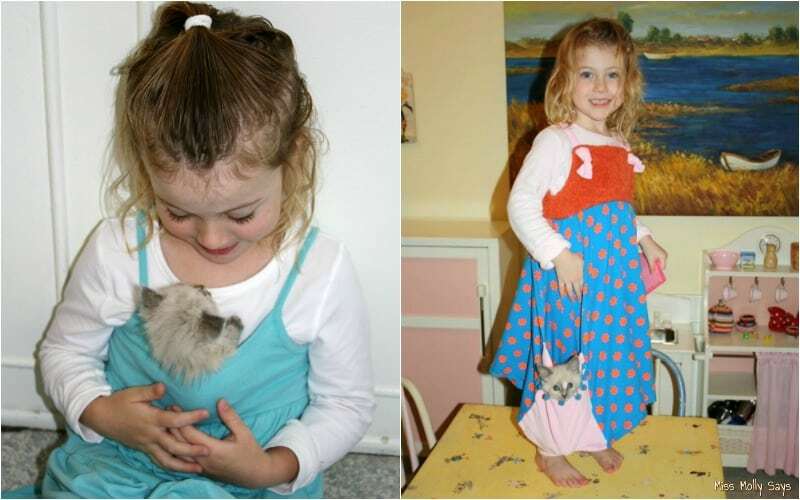 From a seriously cute kitten, Daisy grew into a an even more gorgeous cat – if that’s possible! 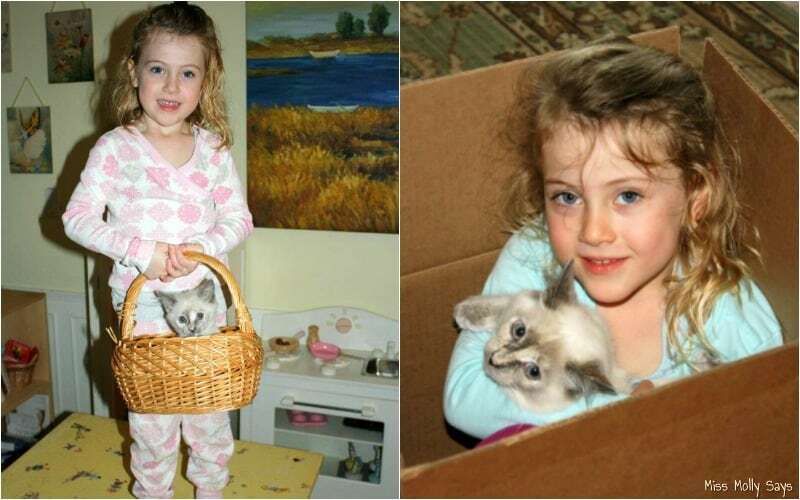 A few years have gone by and both kitten and girl have grown. Over the years, they have shared many good times and the bond has only deepened. During the years, and in order to keep Daisy at her healthiest, good nutritious cat food is THE bottom line! So, what food keeps Daisy healthy, full of energy and up to all her best friends adventures? Purina Pro Plan: A Healthy Nutritious Cat Food! Daisy eats both dry and wet Purina Pro Plan cat food. All the formulas are high in protein and feature real meat, poultry, or fish. Her favorite wet cat food is the Purina Pro Plan Urinary Tract Health Formula Chicken Entree, made with REAL CHICKEN! 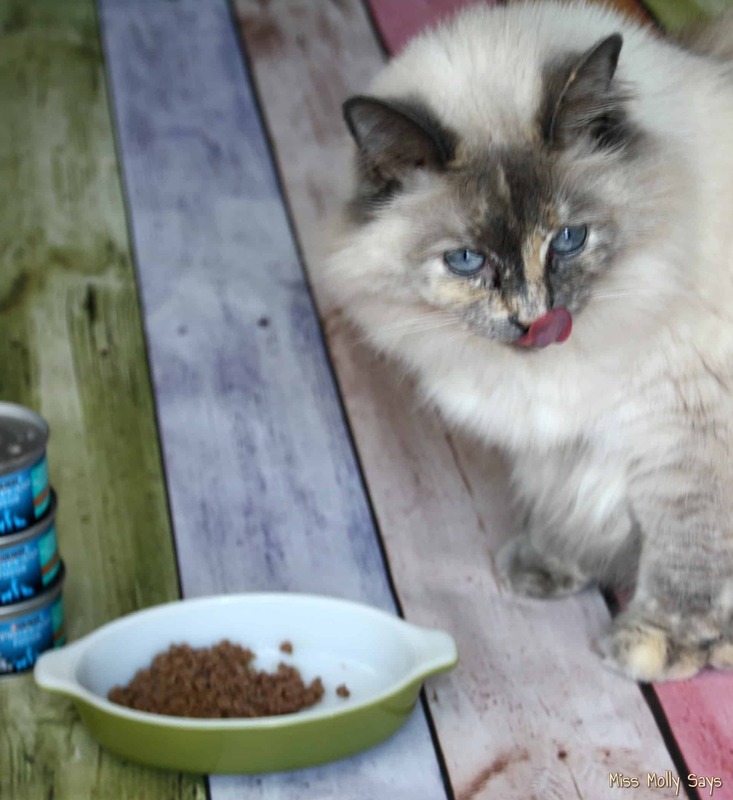 Purina Pro Plan has the taste she loves and craves! I love that Purina Pro Plan wet cat food is specially formulated to help support her urinary tract system! It is also formulated to help boost her immune and digestive systems. In addition, it keeps her skin and coat healthy! When it’s dinner time and the lid is popped, Daisy comes running! She loves the taste and waste no time digging in! While Daisy thinks it is lip smacking good, I love that the Purina Pro Plan nutrition is backed by a team of over 400 scientists; including nutritionists, behaviorists, and veterinarians. I can feel comfortable that I am giving her the best possible nutrition. I also love that it is manufactured in the U.S.! Daisy is a Healthy, Happy, and Loving Cat! These days, Bella is happy to share Daisy with another little hooman! It’s a good thing Daisy is fueled with good nutritious cat food! It looks like she is going to need lots of energy to keep up with her new friend! The pair are already up to antics! Who is imitating who? 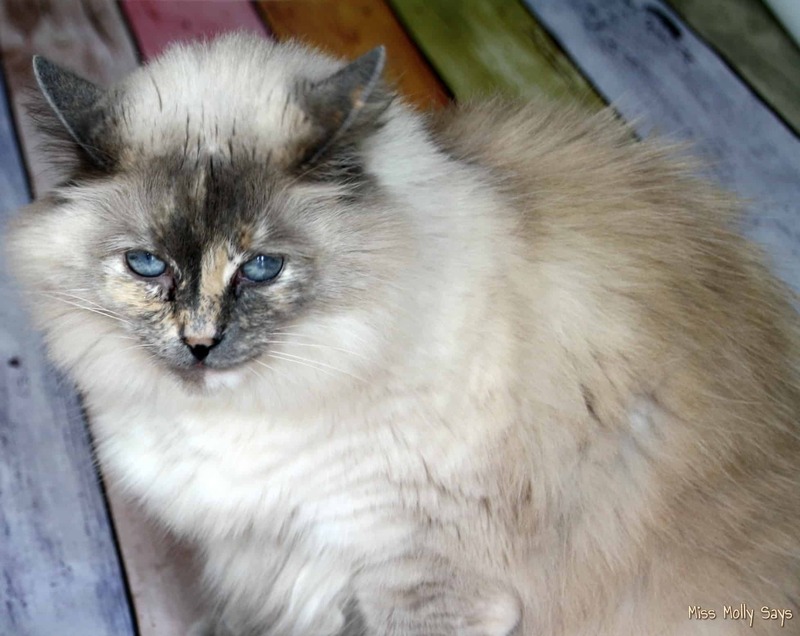 Daisy is one sweet cat with lots of love to spread around. Keeping her happy, healthy and full of energy is a priority! 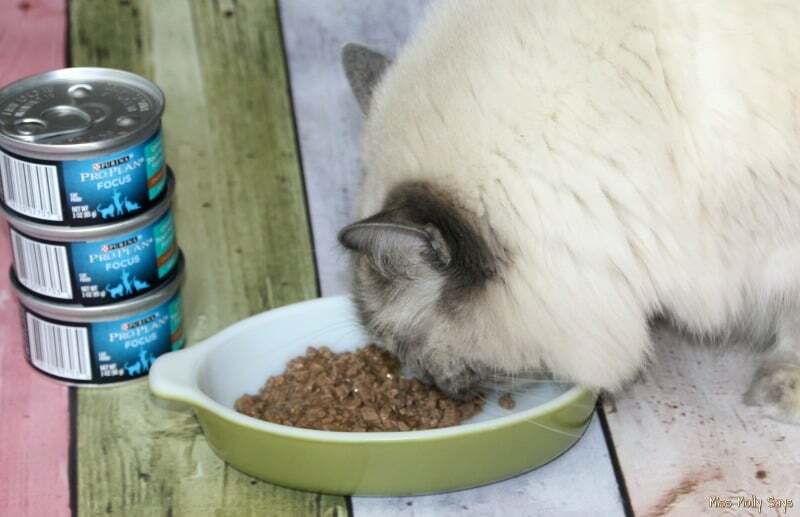 There is no better way than with Purina Pro Plan wet cat food with it’s high protein and real meat formulas! 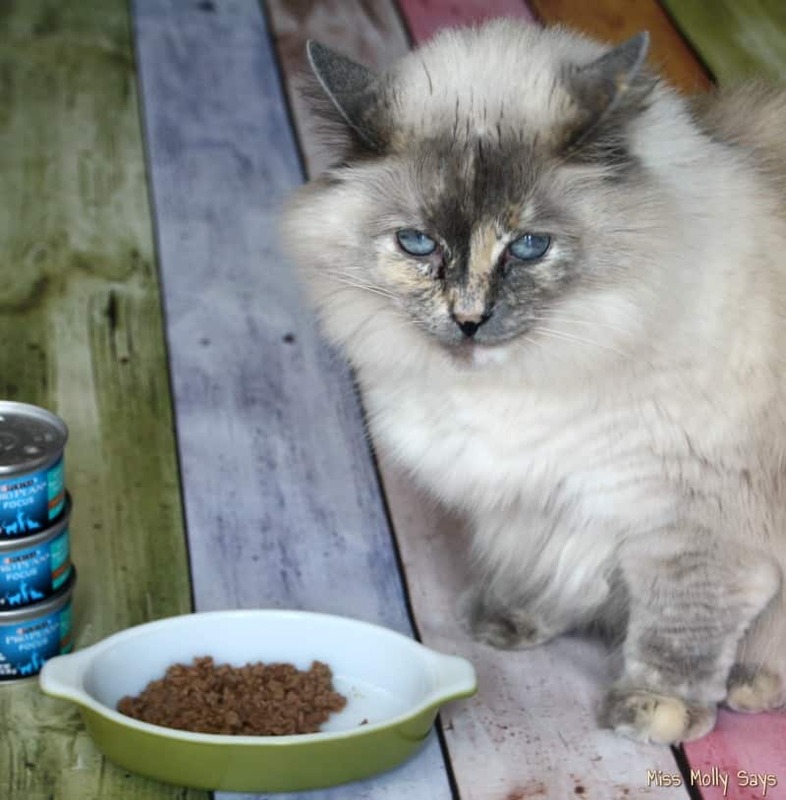 Only the best nutritious cat food will do for a girl’s best friend! Want to give it a try for your best friend? Click this link to visit Purina Pro Plan and get your money saving coupon today! Purina is a good brand. My cat Popper is finicky. I feed her both wet and dry cat food. She only wet cat food if it is in bits or chunks. She will not touch pate. They are a cute pair. That is one good cat for humans! I love the bond between Daisy and your kids. My cats eat both dry and wet food. I’ve never bought the Purina Pro Plan wet food, but I have given them the dry food– and they LOVE it! Thanks for sharing the wonderful photos. 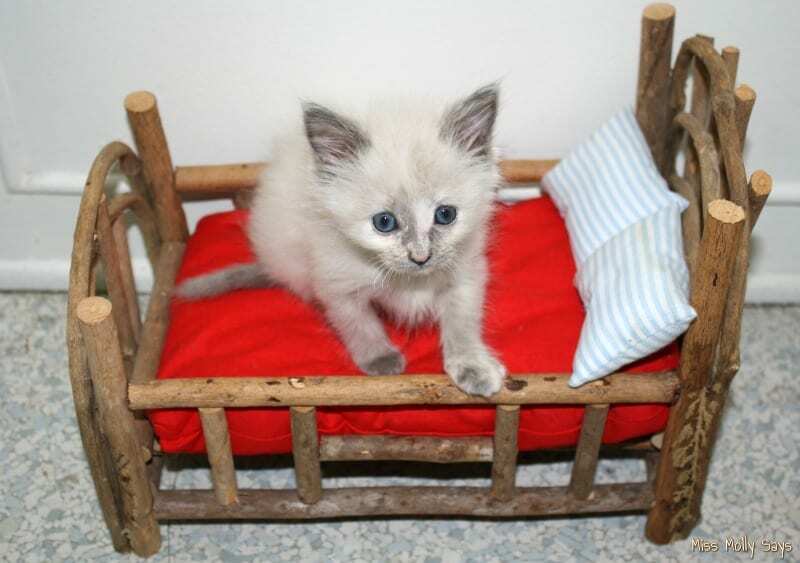 Love the little “kitty crib”! Our cats don’t like the wet food I’ve bought for them. Maybe I should try giving them this kind! 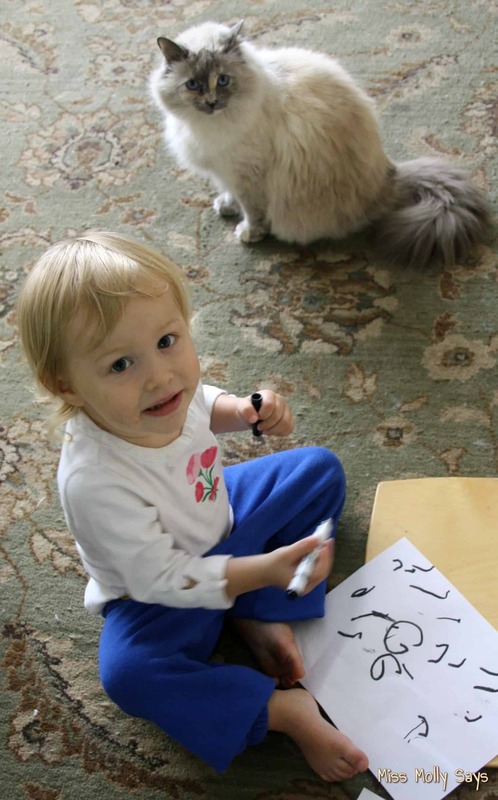 Such a pretty kitty (and cute kiddo). I’ve always wanted a floofy kitty and you have to feed them right (well) to keep such a nice coat. Aww so cute, thank you! Love Purina cat foods. My cat won’t eat just anything kind. She sees like your cat in the pictures. Such a beautiful and not to mention unique looking cat, stunning! I’m not an animal lover, but do have to say that’s a cute cat. If I ever got an animal it’d be a cat. That is a BEAUTIFUL cat! I have a Himalayan named Logan, they look kind of similar except your girl has really unique markings! Daisy’s face and paws kinda look calico. But the rest reminds me of the blue Siames. Such a cute cat, thanks for sharing this great review experience. I loved the photos. The cat and the girl are just adorable. So precious together. I like this cat food for my cat too. Such an adorable cat. I love how well they get along! So cool. Thanks also for the education on cat food! Bella and Daisy are so cute and even cuter together. That’s a pretty cat. I’m not an animal person, but prefer cats over dogs. I wish I could afford good cat food for the cat’s but have 9 cat’s and not a lot of money. Good information for cat owners. I’ll be trying this new food for my cats.